My name is Clizia and I’m a student at ILSC of Toronto. I come from Italy. I have always loved languages and after I finished university I decided to go to Canada to improve my English. Toronto is a multicultural city where you have the opportunity to see many cultures and meet people from different countries. One of the things that I love about Toronto is variety. As you walk you are able to see how the city changes from one neighbourhood to another. For instance, you could go from a modern part full of skyscrapers to a neighbourhood with big houses. In addition, you can always find new parks and beaches to relax or spend time with your friends. The choices are almost endless. This city is the perfect mixture and it suits each taste. You only need to be curious and you will be able to discover something great. I think that, apart from words, pictures are one of the best ways to describe my three months in Toronto. They are quick but at the same time they are able to stop time. They remind me some moments that I lived while I was here. In a few days I leave a place that was my home, my sweet escape into the unknown. But I know that in the future I can always come back. Let me show you some of my Toronto adventures. A swan was standing on Grenadier Pond. It was March and it was freezing but that day my friend and I decided to go to High Park and one of the most interesting things was observing animals living their daily life. 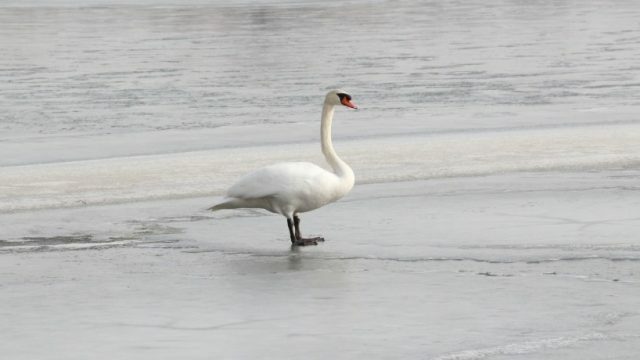 We found squirrels, gooses, and seagulls but one of my favourite was the fabulous swan. 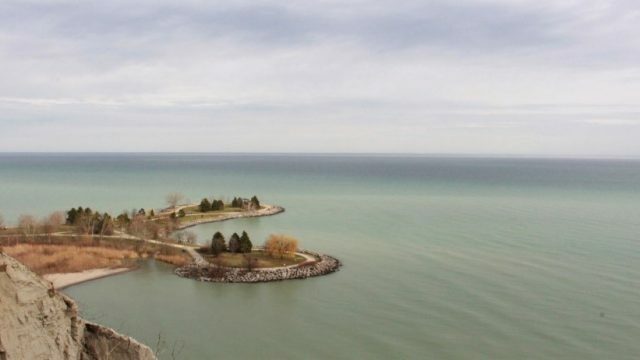 A wonderful place where you can see the lake Ontario is Scarborough Bluffs. It was quite hard to get up there but after the walk I could have this breathtaking view as a reward. It’s good if you want to have a day in which you can connect with nature. 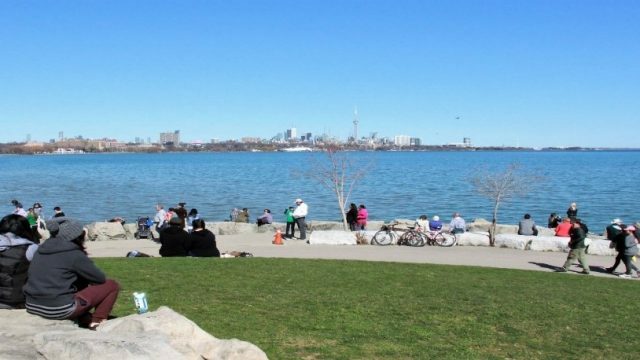 Another place to relax is Humber Bay Park East. There you can see the lake and downtown under a different perspective. 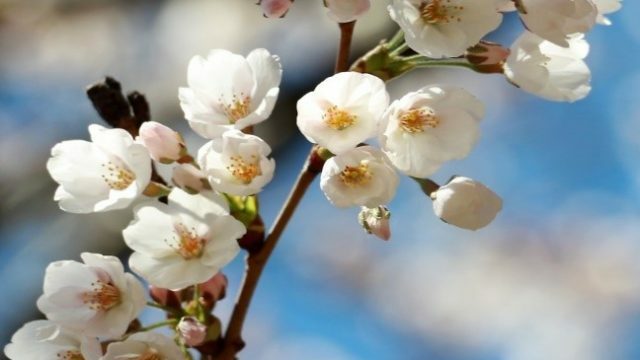 The cherry blossom is one of the most popular sights in Toronto. After a long wait I had the opportunity to see them and there’s nothing better than seeing flowers that become even more precious since they don’t last for many days. So find the right time and go to High Park to see nature in all its beauty. 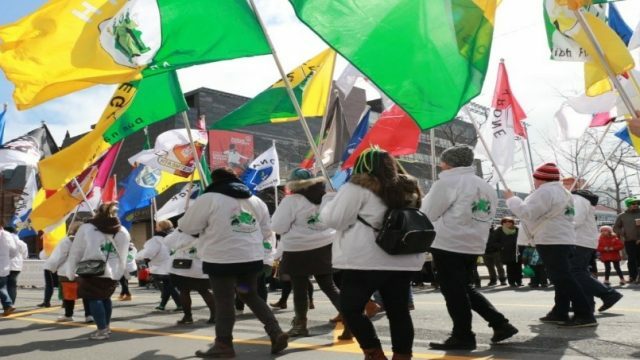 Don’t miss the chance of going to an Irish event like St. Patrick’s Day. Toronto is known as a multicultural city. Therefore it gives recognition to different cultures making them equally important. 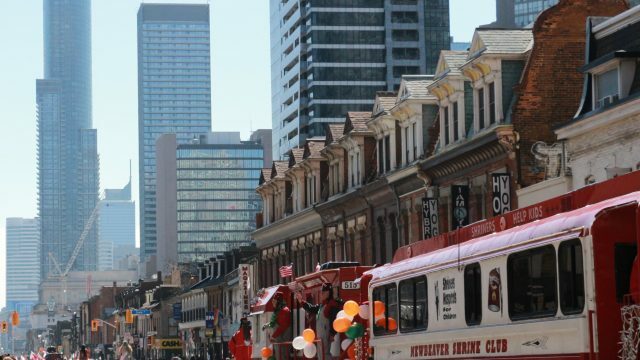 St. Patrick’s Day is famous all over the world and I loved seeing how Toronto turned into Ireland that weekend. It was a good and warm day with people smiling and willing to spread happiness. In Nathan Philips Square you can see the City Hall which is the seat of the municipal government. 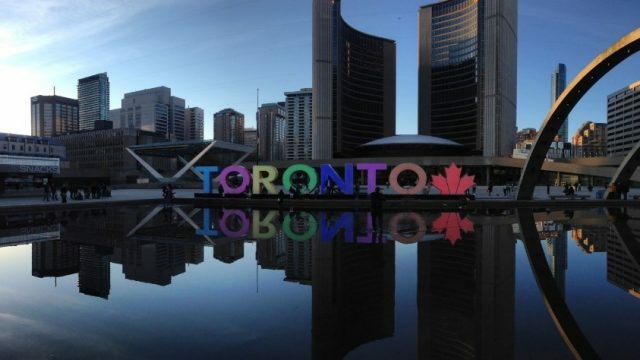 It is also a nice place to take pictures with the popular sign of Toronto. I like this spot where you can see a clear reflection of the buildings in the water as the sun goes down. If you are looking for a place where you can see the skyline of the city, Riverdale Park is the right one. You can just relax and have a cool view of downtown. There should be a reason why the nearest station is actually called Broadview. This is one of the best places to spend the weekend. 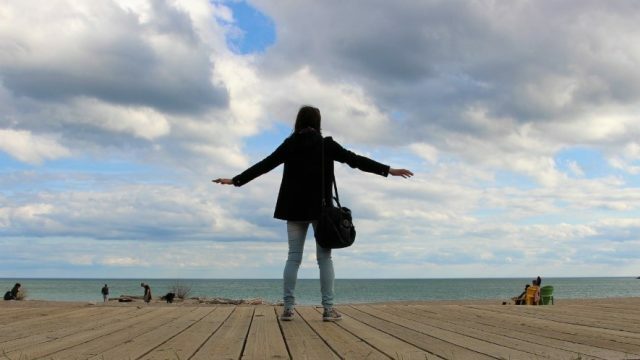 You can stroll along the boardwalk of Woodbine Beach. I remember that I was there on one of the first warm days. If there is one thing that I’ve learned living here, I would say it is patience. If you see a cloudy day, just wait because the sun could suddenly and unexpectedly come out. Here you can have a glimpse of downtown. 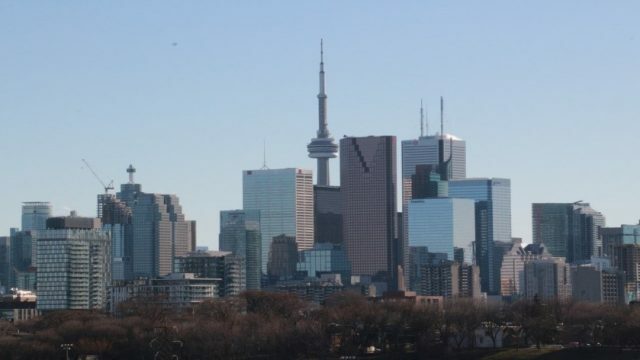 You can also notice the CN Tower from which you can have the whole view of the city. Moreover this is a common place to go if you want to take a subway, a streetcar or a train from Union Station. 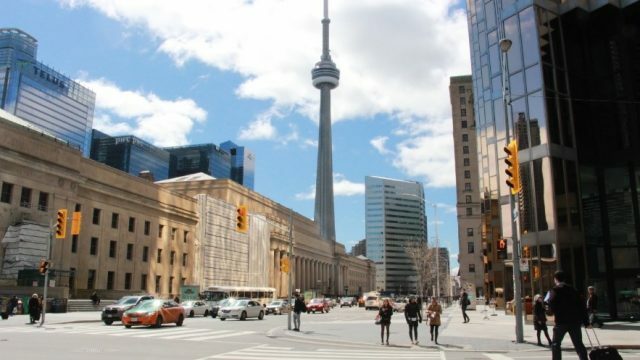 This is another part of the city centre and it is located in the neighbourhood of Yonge Street. It reminds me of the beginning of my journey: that moment when everything is still new and catches your attention. To find out more about studying in Toronto with ILSC visit us here!